I don’t know about you, but going back to school after a summer of less structure, sleeping in and lots of playing can be hard. Suddenly you have to wake up your kids, get their lunches packed, get them dressed and fed and often my mornings are rushed and kind of chaotic. I know once routine kicks in, it gets easier, but for me, that first month can be a struggle with getting everything ready and the kids out the door. Horizon Organic Milk wants to make your first month of packed lunches just a little bit easier. Did you know that Horizon Organic Milk is the only milk box with DHA Omega-3, a long-chain omega-3 fatty acid that has been studied for its role in supporting healthy brain development. I can’t think of a better drink to put in my kids lunch box than one that supports brain development. School is hard, and I want to help them in any way that I can. 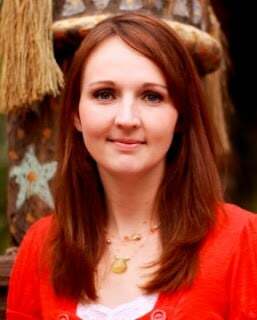 So why is DHA important? We pack home lunches because I like to know exactly what they are eating and knowing that it is something that will fill them with energy to get through the day. I used to always put a juice box in my kids lunches until I realized that they weren’t 100% juice and a lot of sugar. Now, my kids have a milk box that they have every day for more calcium, protein, Vitamin D and DHA Omega-3’s. I can feel good sending my kids to school knowing that they are taken care of. Plus its easy, convenient and stays fresh! Did I mention that it tastes good, too? I was especially excited about the Vanilla flavored Organic Lowfat Milk. It is full of delicious taste with all the same benefits. 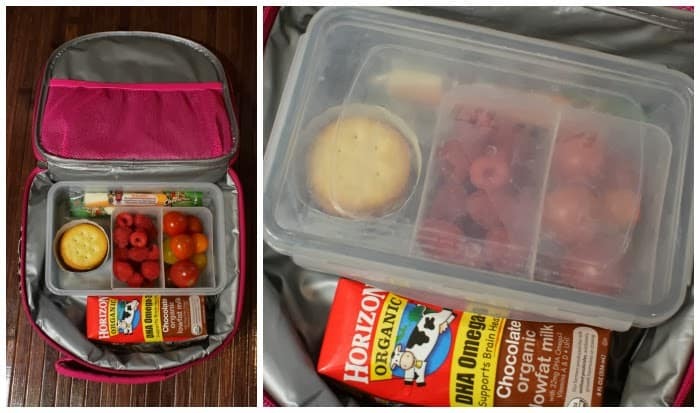 To help make the school lunch packing process fun and easy, registered dietitian Elizabeth somer and Horizon Organic created a “5 Lunch Needs and 50 Ways to Please” back to school resource. This easy-to-use tool ourlines the five main food groups and 10 kid-approved lunch box ideas under each category. 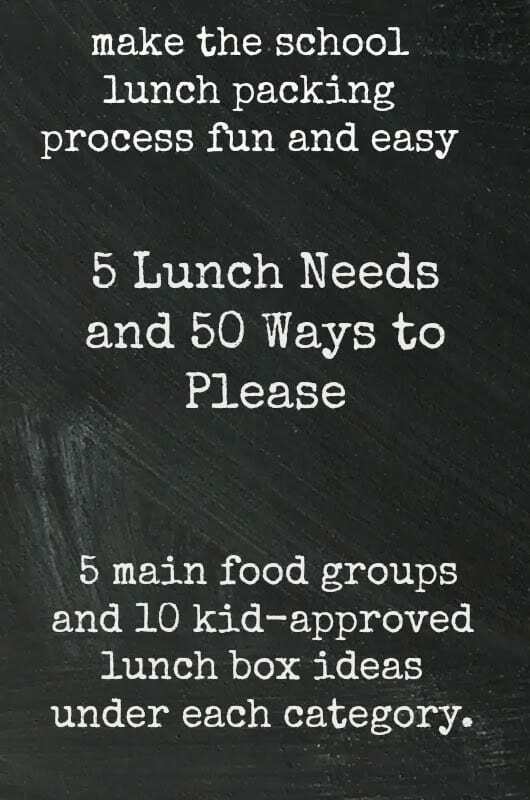 You can find these great ideas: “5 Lunch Needs and 50 Ways to Please”. 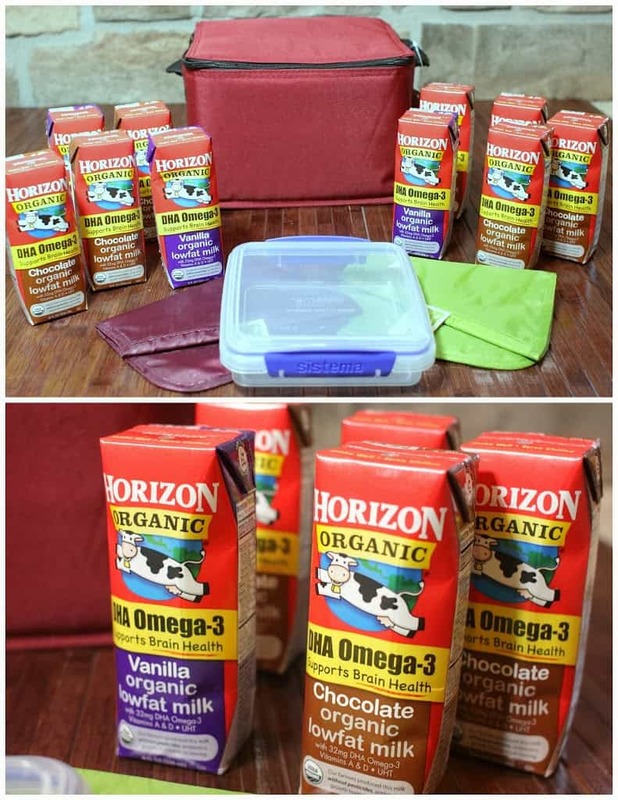 One Momsreview4you reader will win a Horizon Organic Back to School Lunch Box Kit including a variety of back to school lunch box supplies and enough Horizon Organic Milk with 32 mg DHA Omega-3 Single Serve Milk Boxes, for two weeks’ worth of packed lunches (10 milk boxes).